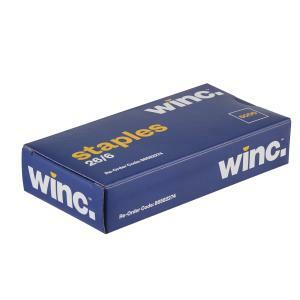 Winc 26/6 standard-size staples are made for all standard-size hand and electric staplers. They are available in convenient, money-saving packages of 5000 staples. These quality staples are made to penetrate paper without jamming.